A Leader in Linux & Open Source Technology Consulting, Support and Services. Specialize in supporting Linux based Networks. Support Red Hat Linux based deployments and systems derived from it like CentOS, Fedora and others. We can help you with all your technical challenges related to deploying and adapting SUSE Linux in your environment. We help you improve the efficiency and availability of IT resources and applications through virtualization and cloud implementation. We provide security consulting and penetration testing for your internal and external networks. We can help you deploy completely open source solution for your Network Monitoring including deployment of tools such as Nagios, Cacti, NetFlow analyzers and generators. Consulting and support for Zimbra Email Collaboration deployments. Migration from Microsoft Exchange to Zimbra Collaboration Suite. We can provide professional AWS service to help customer design, build and manage private, hybrid and public cloud. We provide array of Managed Open Source Hosted services by certified Linux professionals in our Tier 3 Toronto, Canada based data center. We help you build your own private OpenStack cloud based on your needs in our Toronto, Canada based Tier 3 data center. We manage it or help you manage it with 24/7 Technical support. We can host your Linux based server infrastructure in our Tier 3 Toronto, Canada based data center. We take care of security and day to day administrative tasks. Be it WordPress, Drupal, Joomla, LAMP stack or other application running on Linux we can manage security and day to day administrative tasks for you. Infrastructure manager, Barnaby Marshall: Team from Tekyhost proved to be invaluable in helping us configure and troubleshoot a highly customized Linux setup that we required at the CFC. They were prompt and extremely knowledgeable, and we'll definitely be using their services again. IT Director, Sanja Sekaric: I have been working with Tekyhost for few years with both an on-site and off-site support and consultation. They have been very responsive and partnered with us as we expand our tasks and projects. Great team, very reliable, informative and nice to work with. IT Director, Charles Nanayakkara: I've worked with many, many consultants over the years, and I would rank Tekyhost as one of the most insightful and customer oriented individual with whom I've partnered. They completed the project on time and was there with me during roll over and fine tuning it after many weeks. I can definitely say that I'd recommend TEKYHOST to anyone who is looking to partner with reliable people who has advanced knowledge in IT infrastructure specially in Linux operating system. Company Owner, Rodrigo Olivares: Contract with Tekyhost does not reflect the true amount of work that they did for us, they worked on several projects for us and was great at everything they did. Thanks Tekyhost for all your help. 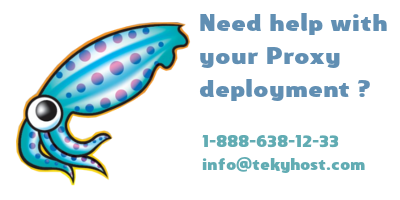 IT Director, Blair Morosnick: Tekyhost was very helpful with resolving our local server performance issues. They were attentive, patient and always available to answer questions from our IT Department. Company Owner, Ravi Kanagasabey: It was my pleasure to have been working with TEKYHOST. I am amazed and happy to notice the passion and dedication towards his customers. I had a project to finish and it was done to my fullest satisfaction and right on time. I have no hesitation in recommending TEKYHOST to any customer. Thank you TEKYHOST and keep up the good work. IT Director, Safraz Iqbal: Dealt with TEKYHOST to troubleshoot Ubuntu Server 16.10 Open SSH SFTP to work with Active Directory, folder creations and permissions. Very professional, timely, support focused approach shown by TEKYHOST, and was able to answer the questions and resolve the issue for us. Very happy with the services provided at a competitive rate.